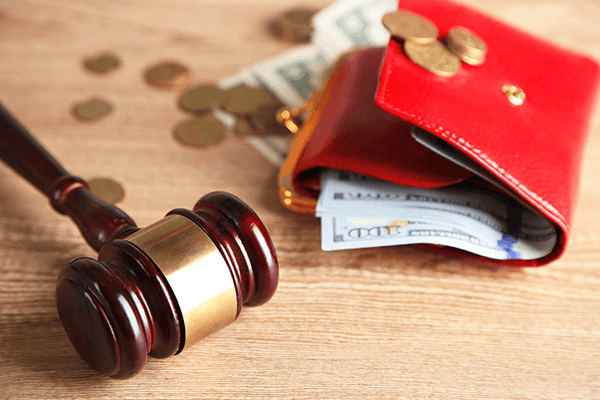 One of the IRS’s many ways of getting its money from you — whether or not you actually owe it — is a wage garnishment levy. IRS levies don’t just apply to what you own — they also apply to what you have coming to you. With this in mind, if the IRS thinks the best way to collect money from you is by going after your wages, it’ll contact your employer. When the IRS garnishes your wages, it sends your employer a notice that he needs to start sending your wages to it. Once your employer receives the garnishment notice, he has to send the IRS the amount of money that it asks for by the IRS. There’s nothing he can do as it’s the law – the IRS will keep taking your wages until it gets paid off. The limitations that apply to most other garnishments don’t apply to the IRS. It can take as much as it wants from your paycheck subject to a limit based on the national average cost of living. These limits can let the IRS keep 80 percent of your paycheck, leaving you unable to pay your bills. As much as you don’t want to have your wages garnished, the IRS doesn’t want to garnish your wages, either. It’s willing to work out other arrangements. However, once you’ve gotten to the point of a wage garnishment, your tax problem is serious enough that you need professional help. We can talk to the IRS for you. If your wages haven’t been garnished yet, we can delay or prevent it and if they’re already getting garnished, we can stop the garnishment. Letting us help you work out a payment plan with the IRS won’t just save your wages and other assets — it’ll also let you get your life and paycheck back. We will figure out a monthly payment that you can afford so that you can get your tax problem under control and keep the IRS’s collectors at bay. To get started, fill out the form below. Our tax professionals know how to work with the IRS, and the first step is a consultation with us. We’re ready to help.